Brad and Christina sit down via Skype to talk about the Series 9 finale of Doctor Who. 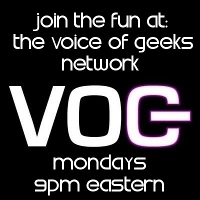 (along with the episodes leading up to it as well) Funny enough…this is the Year 9 finale of PodCulture! 10 years ago today the Testing…1..2..3 episode was released! 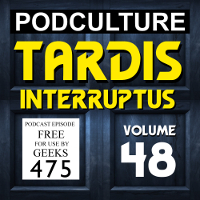 Of course it wouldn’t be an episode without tangents…and there are plenty of those as well. Christina and Brad were still flying the TARDIS by themselves when all of a sudden, not one but TWO different incarnations of The Doctor show up and save the day! Enjoy as Brad and Christina get to sit down for a few min with The Seventh Doctor Sylvester McCoy, and later on in the show they get to sit down and talk with The Eighth Doctor Paul McGann. Special note…listen for a certain ELEVENTH Doctor speech that we were lucky enough to be very FIRST one to get it from him. 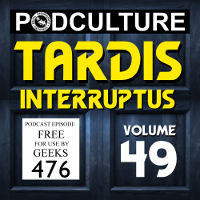 Part Two of the PodCulture: TARDIS Interruptus MilkCartonTV/Type 40 Podcast reunion! Plus…plenty of needle scratches and great Whovian related music!